A fascinating subject. Just walking the landscape, without the archaeological skills but with open eyes, we had long since come to the conclusion that older sites had been reused by the Normans in much the same way as earlier pre-Christian sites had been ‘adopted’ by the church following Bishop Mellitus’ instructions from Gregory I. What easier way to stamp authority on a landscape and a people than to appropriate its sacred sites? I guess we’ll soon see if our hunch about mottes/round mounds turns out to be right! Or the Neolithic/Bronze Age Gib Hill at Arbor Low. I am really looking forward to following your findings. The Hill of Slane is an other typical example, I sure hope it is included.!? The Mound of Down (Downpatrick) is a prime example of a large, potentially royal rath site that was adapted by the Normans as a motte and bailey castle. Very interesting idea. Caerau hillfort in Cardiff (see CAER Heritage Project) has a ‘medieval’ ringwork at it’s eastern end next to the ruined St Mary’s church. Recent excavations show evidence of use/occupation from 4,000 BC. Might I suggest it for study? Caerau Hillfort is a fabulous earthwork site! Our project is specifically interested in the identification of late Neolithic mounds however, which means we have focused on motte and bailey castles rather than ringworks. It is interesing that the CAER Heritage Project has found evidence for an early Neolithic enclosure towards the western end of the site, and it is a great example of how particular places were re-used over time. 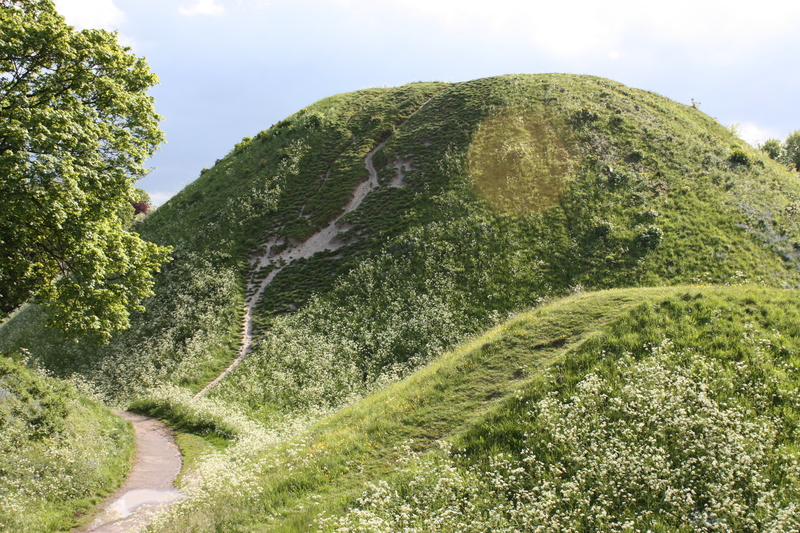 St Michaels hill near Montacute in somerset and sits very close to Ham hill hill fort, it has been proven to have been far more ancient and sacred and pre dates the norman Motte that was built on top of it. Are you planning to include this site?